In the 1990s, I consulted for CompuServe Network Services—the company that built virtual networks to enable employees to dial-in to the office from anywhere using a modem. A CompuServe customer could enable hundreds of traveling sales people to access the company computers by dialing in. CompuServe was a pioneer of that technology and had a wonderful business making uniform and consistent connectivity possible for organizations. CompuServe was so successful at winning customers, in fact, that its back office couldn’t enter and implement new contracts as quickly as they came in. These were monthly revenue-generating contracts; once signed and implemented, CompuServe would start getting monthly checks from the organizations using their services, and it was essentially all profit. But until the contract was implemented they weren’t getting any revenue. When I went in, they were backlogged on 150 contracts. Meanwhile, they had half a dozen people in a department who did nothing but generate those big computer reports in folders with metal clips for all aspects of the business. They would deliver those by hand every month to various managers. The company re- assigned that department for 90 days to the job of implementing contracts. They told managers, “If you need a report let us know, we’ll get it to you.” In those 90 days, there was only one request in the whole organization for a report. If any manager had said sooner, “We should just stop generating these reports; we don’t use them,” anyone in that department would have said, “I can’t stop, that’s my job.” But when the organization found other things for those people to do, they recognized that the value of the reports had diminished as the business evolved. The business needs had changed, but people’s activities and habits had not. When they were forced to prioritize their activities, it became clear that they should stop doing those things of little value. Want to improve your company or department productivity? 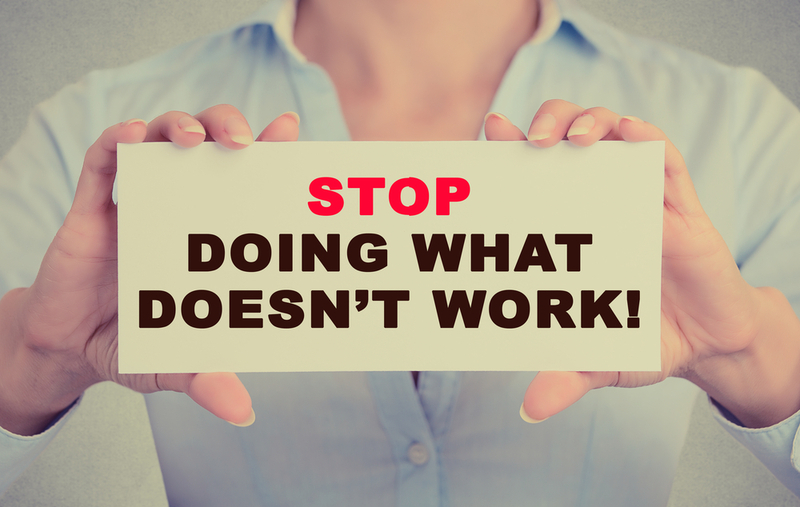 Make a “stop doing” list today!